In the weeks leading up the 11th of November, many people in the UK will be seen wearing poppies on their coats as a symbol of remembrance to soldiers who died in WWI. This year poppies could not only be seen on the lapels of many a coat. 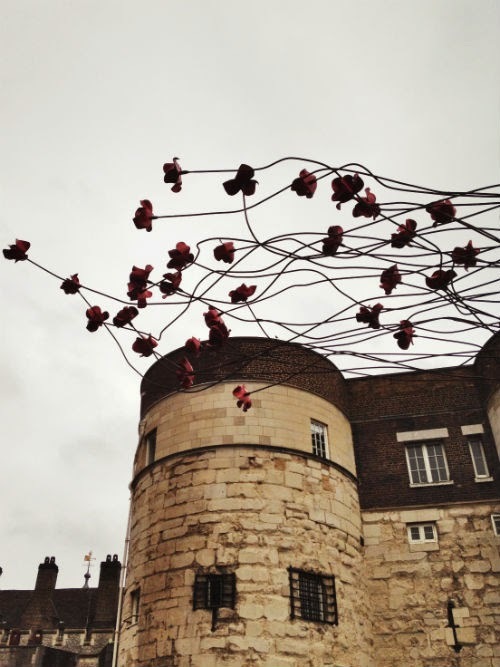 This year the moats of the Tower of London have been literally flooded with roughly 888,000 ceramic poppies representing a fallen soldier each. 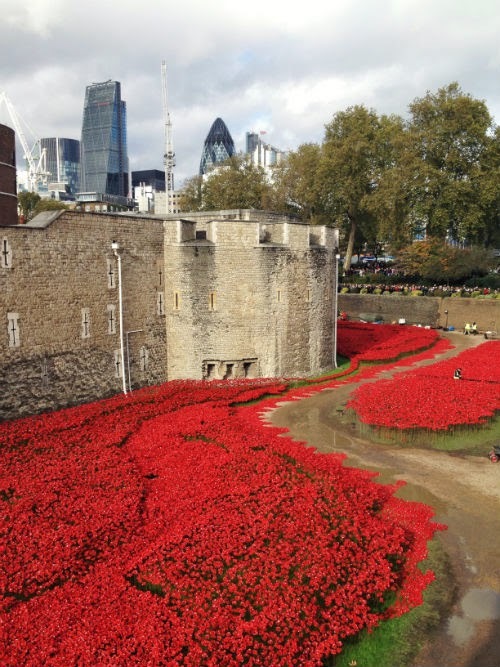 It's an art installation called Blood Swept Lands and Seas of Red which started being created back in August and was supposed to be dismantled on the 11th of November, which is Remembrance Day. It has proven to be such an immensely popular tourist attraction that part of display will stay on at the Tower of London till the end of November and parts of it will even be moved to different towns in the UK. I still hadn't had a chance to go and see them myself, so this morning I got up early to do just that. I wasn't the only one. 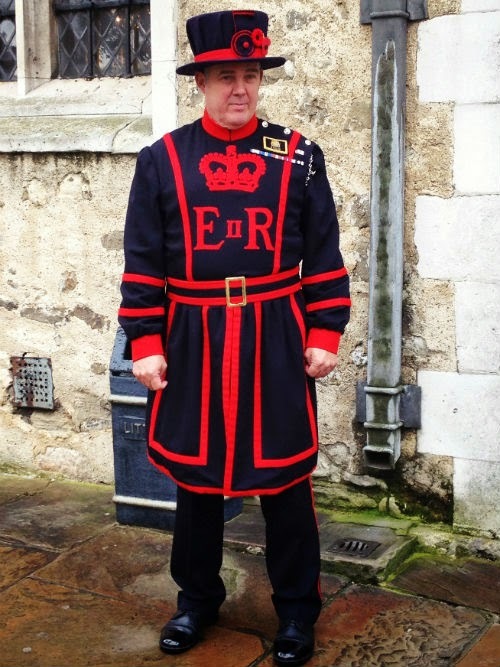 It took a while before I finally got my ticket and to actually enter the Tower of London. While queuing we did get a good look at the Prime Minister and his family who were visiting the Tower as well. Walking across the bridge that crosses the moat, I got a good look at the river of red running through it like a stream of blood. Even though it's a pretty sight to see it also gives you a stunning visual of actually how many British soldiers died in a war that now seems so needless. Not counting any lives that were lost in other countries. 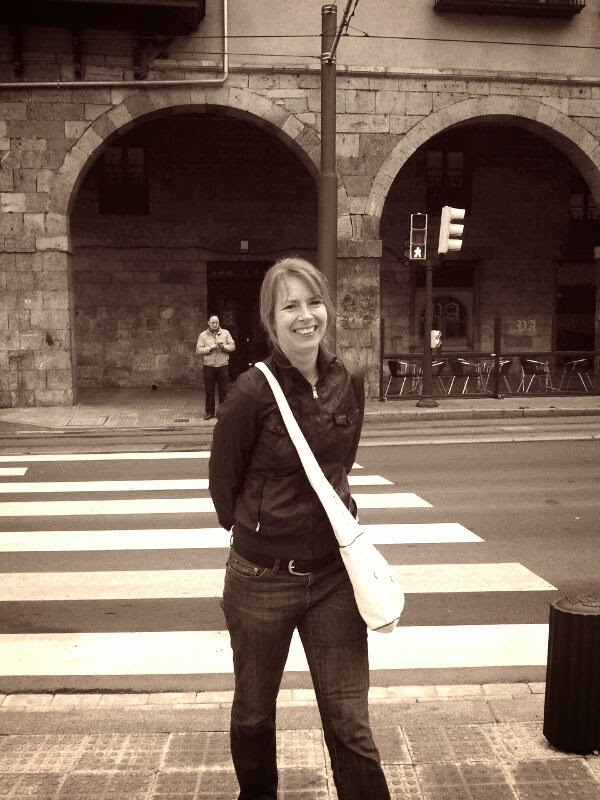 I walked around on top of the walls and through the watch towers of the Tower of London and got some more glimpses of the red coloured moat and what must have been thousands of people on the outside that came to see them. 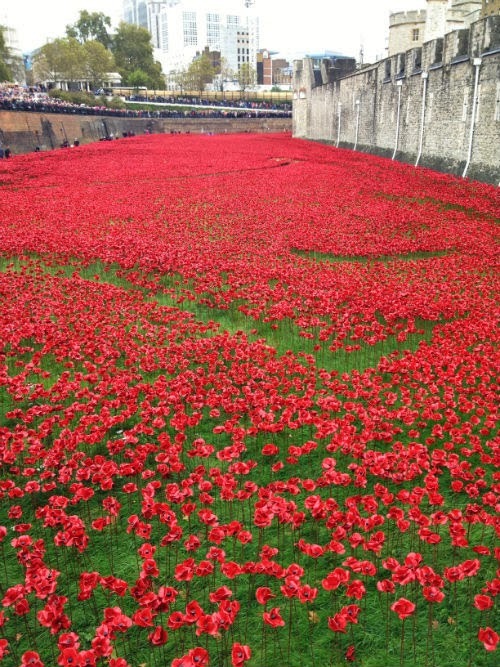 As I watched them from across the moat, I realised how much this means to so many people in Britain and how important it is to keep remembering. I'm glad the poppies are staying a bit longer. 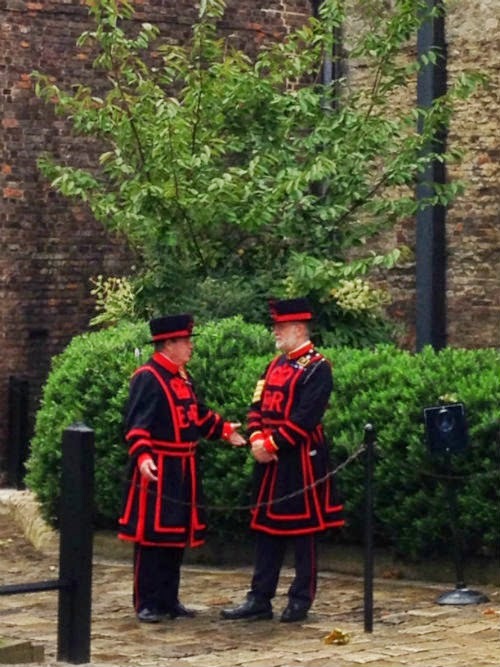 I visited the Tower of London with compliments of Attractiontix. Visit their blog to win a piece of history. I think it will still be an impressive sight, even after today. Recently visited there myself, awe-inspiring .